If you want to spend an idle weekend on a riverside watching the boats pass before you, people waiting for hours to catch the ferry and mesmerizing sunsets over Rupnarayan then drop at Geonkhali, where time slows down a bit. Located almost 130 km from Kolkata, Geonkhali is nestled at the confluence of River Rupnarayan, River Damodar and River Ganges. At Geonkhali, the rivers become extremely wide and appear like the sea – the view is truly breathtaking. The riverfront is flanked with a green wilderness of babala, sirish, akashmoni and mango trees. 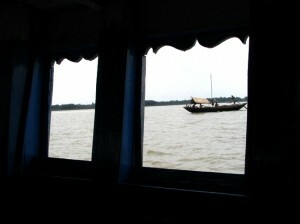 You can catch country boats from the ferry ghat and crossover to Gadiara or nearby Nurpur. 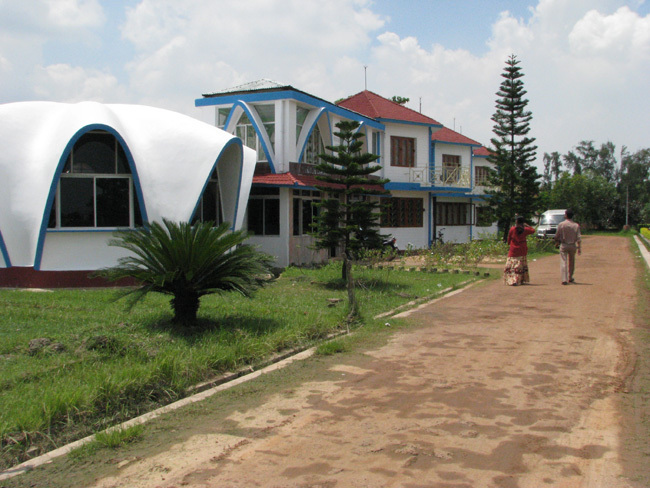 Geonkhali is located in the Mahisadal Block of East Midnapore district. Geonkhali has developed primarily due to the establishments of water treatment tanks. 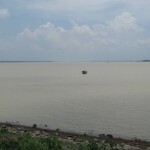 It supplies fresh water to Haldia, since water over there is saline. Places to see in Geonkhali: It is a riverside village and the beauty of the sea-like river is Geonkhali’s main attraction. 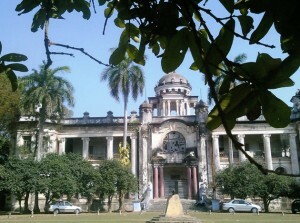 Other than the rivers, you can visit the nearby Mahisadal palace and nearby Kolaghat. The Radha Krishna temple in Mahisadal is another nice place to pay a visit. Nearby attractions around Geonkhali: You can visit Gadiara, nestled on the other side of the river. Diesel powered boats are available to cross the river in around 15 minutes. From here you can also catch a boat to visit Nurpur. Haldia is also nearby – it takes around an hour from Geonkhali. Things to do in Geonkhali: Geonkhali is simply an amazing place to move around. You can drive down by the road or take a leisurely stroll by the riverside. 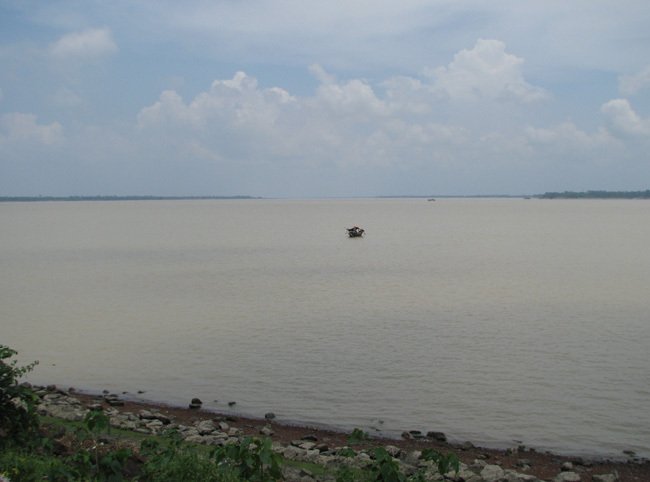 The confluence of the three mightiest rivers of Bengal gives it the appearance of a sea here. The good thing about this place is that it is still not crowded, which offers an ample scope for savoring the natural beauty of the region in isolation. You can also check out the remnants of launches and steamers by the riverside. There is a ferry ghat from where you can enjoy boat rides to nearby destinations and there is a small park and lake near the water treatment plant where you can enjoy boating too. How to reach Geokhali: You can catch bus from Esplanade to Nurpur, located nearby Geokhali. The distance is about 52 km. Then you need to take a launch from Nurpur to reach the destination. You can also visit Gadiara and catch a ferry to cross over to Geonkhali. The most convenient rail station to Geonkhali is Bagnan from where you can catch Auto Rickshaws to Gadiara. From Gadiara you can catch a ferry to cross the river for Geonkhali. Alternatively, if you want to go by car then reach for Kolaghat and take the NH 41 heading towards Haldia. Soon, you would reach the Nandakumar crossing from where you can take the road towards Mahisadal and then to Geonkhali. Best time to visit Geonkhali: You can visit the place any time of the year. Lodging and dining facilities in Geonkhali: Geonkhali Resort is a nice retreat in this fishing village, offering decent accommodation facilities overlooking the river. The resort has AC deluxe, non AC standard, non AC economic and four bedded rooms. The resort also offers impressive conference facility. It has spacious lawns. The riverside cafeteria is also known for serving delectable cuisines.